As naive as it may sound, I was keen to see the FFA grant Canberra an A-League franchise license. Of course, there are considerations around numbers, dollars, markets and growth that perhaps make other regions or bids more compelling – and potentially profitable in the future. However, rather romantically, it seems fitting to me that the nation’s capital be given a team to support. This country must the only one on the footballing planet that has a capital city without representation. Along with a visionary venture into Tasmania, expansion into Canberra would make the A-League a truly national competition; perhaps a reflection of the all-encompassing popularity of the game. I see Canberra regularly, visiting family and, well, drinking wine with two clowns who are equally as sport obsessed as I am. The younger, Tom, has three kids upon which we all dote and the conversation staple is sport, more sport and sometimes lunch. Tony, his Dad, is a rugby connoisseur, triathlete and a sporting tragic of the highest order. I visited over the weekend just passed and cricket took centre stage as the fractured and frazzled men’s national team once again saw the Border-Gavaskar Trophy claimed by Indian hands. 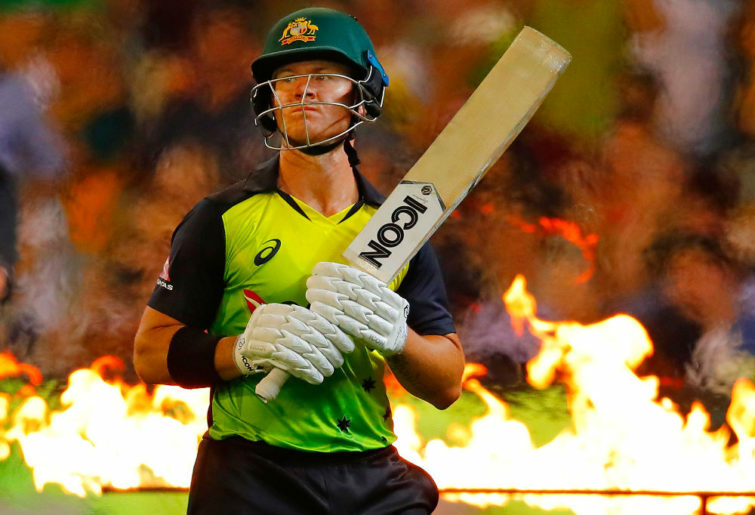 With a New Year’s Test remaining and a chance for the visitors to complete a 3-1 series win, it has been and still is a period of considerable rebuilding for our nation’s most iconic team. Strangely, all we did was talk about cricket and the poor selections and performances that are rife within the current set-up. All the while, I had A-League matches to watch, reports to read and a team of the week to collate. Sensibly, Tony’s fear of never leaving the lounge, taking excessive sick days and destroying his marriage sees him resist the temptation to connect cable television to his home. As such, football received hardly a mention, bar young Tom’s celebratory mood when Liverpool put the cleaners through Arsenal at Anfield. As I banged away on the keys; writing this and a collection of other pieces, it struck me that football was somewhat invisible in Canberra. Both men had no idea who was playing over the course of the weekend. The potentially intriguing clash between the hot Victory and the redemptive Phoenix was not on their radar. Nor was the battle between Sydney FC and the Aloisi-less Brisbane in the heat at Jubilee on Saturday. On Sunday morning I conveyed the scores, politely they feigned interest and I pumped up the tyres of the Jets and Reds match-up that was some ten hours away. Put bluntly, neither could have given two proverbial hoots. It struck me that I had been living in something of a fantasy land; believing that the vast majority of Australians who don’t subscribe to cable television, were still getting a decent dose of A-League in their weekly sporting diet. However, without a single reference to football on the nightly news broadcasts on my relative’s free-to-air channel of choice, Canberra appeared to be a football ghost town for most. In three full days, I did not hear a single score update, nor preview, nor summary of the three matches played. Instead, the rather chaotic, commercial and comically-named ‘Big Bash’ took centre stage, despite its dwindling attendances. Don’t get me wrong, I love cricket, always will and the ‘Bash’ can throw up some rather astonishing feats. However, after a small drop off in crowds last season, the trend has continued. Since 2016-17, BBL attendances are down a whopping 37.7 per cent. 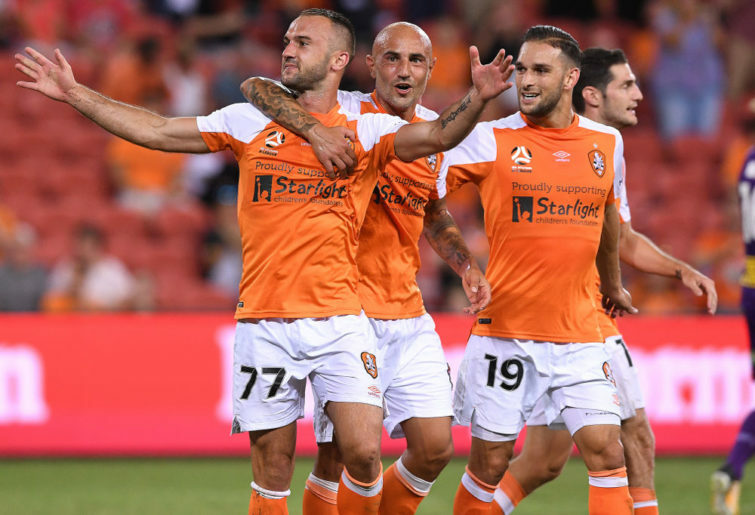 At the time of writing, A-League crowds are up 11 per cent on last year’s figures and almost 600,000 people have attended in just under ten rounds of play. Not that many people in Canberra appear to know and considering that reality, the A-League is hanging in there quite well. Of course, the discussion around free-to-air exposure and the importance of it has circled for years; been done to death and a solution to the footballing chasm that exists without Foxtel’s presence is yet to be found. The TEN Network’s rather oddly named BOLD now broadcasts the Saturday night marquee A-League game and the numbers are poor. The chances of anyone in the house in which I was a visitor being aware of the broadcast were slim and none. It was a truly interesting experience to lose my Foxtel lifeline and enter the football vacuum of a mainstream, free-to-air environment. Despite having previously believed the contrary, something tells me that the A-League doesn’t stand much chance of powering ahead until that vacuum is filled. Kayo Sports might be the answer for those economically or philosophically opposed to the cost of a cable subscription. Using Foxtel accounts on multiple devices is hopefully rampant and thousands more people than can be measured are tuning in to Australia’s top level of domestic football. Sadly, after a weekend of first-hand experience, I doubt either is a short term solution. It was somewhat sobering and dejecting, if not for some of the football and drama I saw played out on the pitch whilst reviewing the replays. As usual, Canberra and the company I shared were great. Now if I can just get the nation’s capital to talk about football when I am there, everything will be okay.